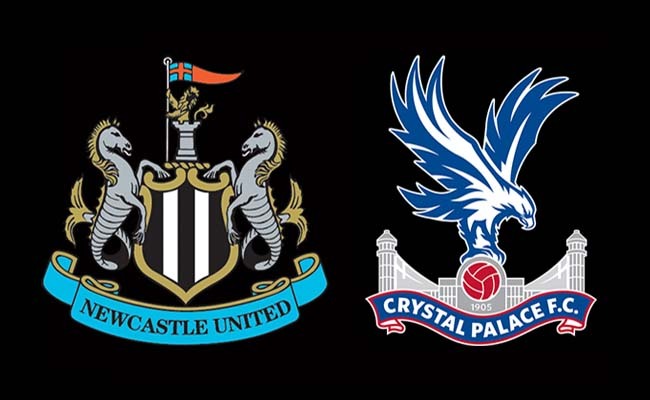 Crystal Palace (H): Pre-match thoughts, team news & predicted line ups – NUFC blog – Newcastle United blog – NUFC Fixtures, News and Forum. Any overreaction to our uninspiring display at Arsenal would be unnecessary, but we stunk of a team with very little to play for on Monday – and that can’t continue. We may be 7 clear of Cardiff – practically 8 points ahead if you factor in goal difference – but the job isn’t done just yet and our opponents in this one are no pushovers, with Palace possessing the quality to frustrate us at both ends. It’s not just about winning to stay up at this stage, however. Get three points here and it will feel like both Benitez and the club can finally get this contract situation sorted once and for all, with Rafa insisting for weeks now that he’ll only focus on matters off the field once we’ve secured survival on the pitch. With Schar back and Yedlin ‘touch and go’, it’s tough to predict this week’s back line. I expect the Swiss international to come back in given his ball playing style has been key to our success at St James’ Park lately, so it’ll be interesting to see what he does with Lascelles, Lejeune and Dummett. Could we see a return to four-man defence, seeing Dummett move back into a left-back role, or will Rafa stick to the three centre-backs system that’s worked wonders on home turf recently? I see him sticking, but it’s hard to know where Dummett fits if he plans to keep the Schar-Lascelles-Lejeune trio going, with Paul hardly being suited to an offensive wing-back role. If Hayden or Diame do pass late fitness tests I can see one o the two partnering Shelvey in midfield for this one. Jonjo didn’t feature at Arsenal on Monday – which was frustrating given our total lack of creativity – but Rafa’s confirmed that he’s now ‘ready’, hinting that he could come back into the side for this one. 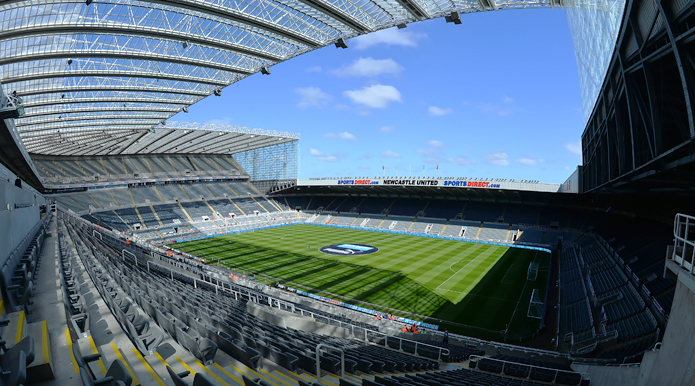 Preferred NUFC XI – (3-4–2-1) – Dubravka– Schar, Lascelles, Lejeune – Yedlin, Hayden, Shelvey, Ritchie – Perez, Almiron – Rondon. Wilfried Zaha – I don’t really like the bloke, with him constantly playing the victim and acting as though he’s entitled to special treatment due to the constant fouling, but there’s no doubting his talent. Whether it’s Yedlin or Manquillo at right-back, his pace, power and trickery will make him very difficult to stop if he’s ‘on it’. Aaron Wan-Bissaka – England have a real talent on their hands with the 21-year-old right-back who has shone in his first full season in the top flight. He’s tall, athletic and seems to time his tackles very well, so his duel up against our very own Miguel Almiron will be a real one to watch. Michy Batshuayi – The Belgian international is on loan from Chelsea and can be devastating in front of goal on his day. We had the odd defensive lapse both on Monday and in the 3-2 win over Everton, so they must be kept to a minimum between our three centre-backs if we’re to keep him out. Andros Townsend – He missed their midweek defeat at Spurs but looks set to return for this one. We know what he’s like from his short but impressive spell at St James’ Park, being direct and dangerous when allowed to cut in onto that sweet left foot. 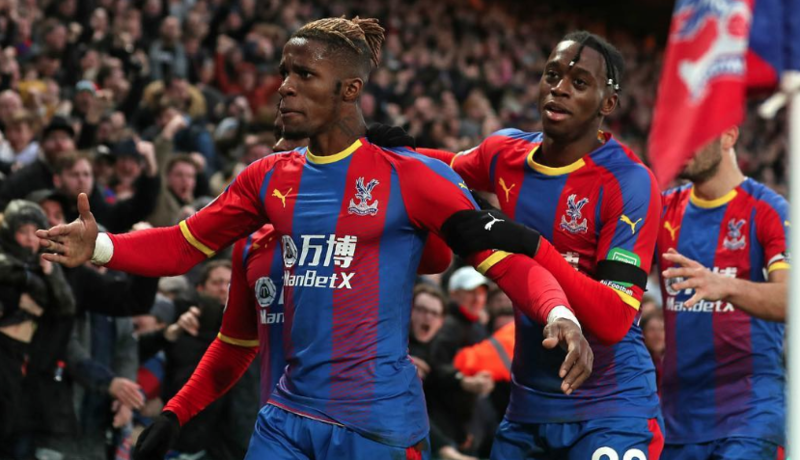 Predicted Palace XI – (4-3-3) – Guiata – Wan Bissaka, Tomkins, Dann, Van Aanholt – Milivojevic, McCarthur, Schlupp – Townsend, Batshuayi, Zaha. Ex-Mag Andros Townsend looks set to be recalled after missing their midweek defeat at Spurs, while first-choice centre-back Mamadou Sakho is ruled out once again. It’s a battle of two teams in similar predicaments and a clash of similar styles, with Palace usually at their best when given space to hit sides on the counter attack away from home. Palace are a funny side. They’ll go to Man City and win, looking impressive at both ends of the pitch on their day, but they have a tendency to play well below their potential or be overly reliant on a certain Wilfried Zaha. Both sides know that a win will all but secure our Premier League status for another season. You know what that means – draw! I think it will be Lascelles out and not Dummett. Rafa seems to have a lot of faith in Dummett. Maybe Shelvey will start but Palace have a lot of pace and Rafa may want to start by negating that with Ki. I said on the last thread I was going with a draw because I get very nervous when all the pundits agree and they all went for a NUFC win. Besides, 6 wins in a row at home is very difficult in the PL so it is a matter of luck/odds catching up with us. Why are they playing Friday games? Liverpool today and us next Friday. We also have to consider the Ref with Palace getting so many penalties and Zaha being an expert in going down when touched by some phantom feather. It is Stuart Atwell who I must admit I haven’t got much of an opinion on. That got me thinking of which Refs I would recognize if they walked into a bar? Mike Dean is the only one I could be sure of. It shows the amount of showboating he does raises his visibility. Maybe Martin Atkinson or Jon Moss (because I take notice of him because he is so slow and fat) but I doubt it. No, Mike Dean is the only one I could be sure it was him if he was in the bar. I wonder if he gets asked for his autograph when he goes out? And with this Pickford situation in the news again, I wonder if Dean gets any stick? There are a lot of idiots/Neanderthals out there. This speculation of Rafa going to France is ******* IMHO. Which club could afford him? He would have Champions League with Lyon or Marseilles but it would be a miracle if they got out of the group stages. Rafa’s options are pretty limited if you ask me. Not saying it won’t happen but the Leicester job was the only one that looked appealing. Maybe Palace, but they are pretty much a small fish in a big bowl in London. Spain – only Valencia and Sevilla but they are doing OK.
That leaves Germany. The Champions League places are easier to get into but he would face the same situation as NUFC of trying to raise the fortunes of a “sleeping giant” – Shalke, Gladbach, Leverkusen, Hamburg? Does he want to learn German at 58? The other thing about the French teams apart from PSG is that they are pretty much development clubs for the Premier League and Bundesliga. Anybody that is any good is poached almost immediately now. Lacazette is about the only exception. Look at Monaco. Almost total asset stripping there. If Rafa is p!ssed off at Ashley, imagine being forced to sell anybody who was any good? You may say it is the same with Fatty but most of our big sales have been due to relegation. The exception was Carroll but we all knew back then that 35 million was silly money and impossible to refuse. I am alone on here due to the ads so I thought I would spout off about a few things 🙂 I have adguard which blocks all of the nonsense ads that others seem to get. Microsoft adblocker stopped working for this and other sites so I got adguard for $20 a year. Got a stat from NUFC.com. Milojovic has 10 goals this year, 9 from penalties. Plus he has missed 1 and we are not even finished the season. 20 penalties for Palace in the past 2 seasons is a joke. NUFC have 4 in that time. My guess is that 20 penalties, mostly scored, would get you about 20 extra points. So that is probably 10 a season – the difference between mid-table and relegation. Just what is going on? I am OK if it happens for 1 season, that is a statistical anomaly. For 2 seasons and the Refs have not figured out the dives of Palace players. Every team have players diving, but Palace seem to get the penalties more often than not. At the very least they get the benefit of the doubt in terms of penalties more than other teams. Got a feeling it might take a penalty today. Almiron winning a ton of free kicks. We’ve had chances, certainly don’t deserve to come out of the game with nowt that’s for sure. You didn’t have to be Mystic Meg to predict that one. 11 penalties for Palace this season. Milogovic has now scored 10 of 11. Zaha has 6 penalties “WON” this season. Kimtoon: you sort of knew it would be Yedlin giving away the pen as well. Zaha on Yedlin had penalty written all over it. Yedlin seriously needs a slap, crap defender. Squeaky bum time , we won’t get sod all from Leicester either which makes Saints and Brighton games massive cause we won’t beat Pool, and Fulhams last game and that man Mitro will be waiting in a relaxed Fulham side who are gone anyway. As an individual penalty it is hard to argue with, but 21 over 2 seasons is a joke. I repeat, NUFC have 4 over the same 2 seasons. Milogivic top scorer for Palace in last 2 seasons and I think only one was a non-penalty. We have had most of the play, most shots 18 to their 1 on target ! Eric, they’d be ****ed without Zahas pens won. They play and look poor when ever he’s out injured. Not looking forward to Leicester. Brendan is the sort of Manager who can get a team to buy in to his ideas for a couple of years and Leicester have some very good players. Still think we are safe though and will get at least 1 more win. I hate to go against NUFC so I went 1-1. But, in my gut I had this one sussed. That’s why I went on about the penalties for the past few days. And, even though I am not a fatalist I knew when ALL of the pundits were predicting a NUFC win it just wasn’t going to happen. Bad omens all round and that’s the way it turned out. There just had to be a penalty to Zaha didn’t there? We were just too wasteful in front of goal. Poor result. Almiron was my MotM today. Ran his heart out. Bayern against Dortmund is on National TV over here in a few minutes. Warren Barton on the panel. As he is getting older he is starting to get a bit of a bassett hound look about him. He is a good pundit, and absolutely loves NUFC. I think one of the big teams should just buy Zaha for his penalty winning ability. I am serious. Spend 40 million and throw him on for the last 25 minutes of a Champions League quarter or semi-final. It is like having Arjen Robben, you know he is going to cut in on his left foot but the defenders just don’t know how to stop it. It has been this way for 15 years. Juve, Bayern, Athletico. One of them should just take Wilf and get him out to the PL please. He’s not cheating, but I FEEL CHEATED because it is so predicable. Rondon was crap again today. Letting the ball bounce off him and wasting free kicks from bad angles and distances that were too far out. I think he is a useful player in Rafa’s system but will get you 12 goals a season and that’s it. That, and less, is what he has done in his PL career. If you hang your hat on Rondon then you are lower mid-table and fighting relegation. I wouldn’t buy him except as a backup, which will not happen as the Fatman will not spend 16 million on a 30 year old. Rondon has some Shola qualities about him. Both are a handful but sometimes so frustrating with their first touch. And then… just when you are about to be totally fed up and not want to see Shola ever again, he goes and scores the winning goal against the Mackems. I am getting that feeling about Rondon now. Totally disagree that he was crap. Bullied the Palace defenders from where I was sitting and linked up nicely at times. Free kicks were poor and could and should’ve scored, but always holds ball up well, links play and is a real handful.